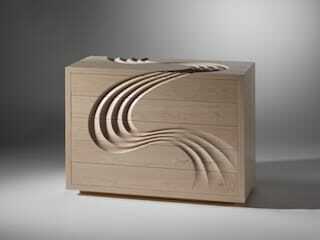 Martin Gallagher is a furniture designer maker from Sligo on the North West coast of Ireland. Growing up on a small rural farm surrounded by dramatic limestone mountains, windswept beaches and the awe-inspiring ocean, he has always drawn inspiration from his environment. 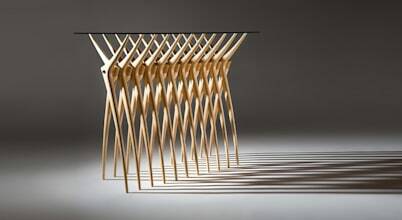 His furniture is handmade using a combination of traditional techniques and modern technology to create distinctive contemporary pieces. 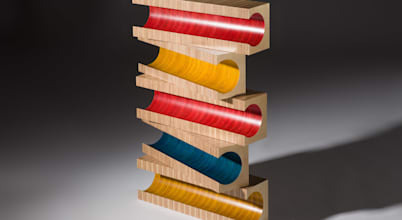 Fusing together the basic elements of wood, glass, steel and decorative veneers, Martin’s emphasis on embracing modern materials and the use of colour give his work a fresh innovative aesthetic. 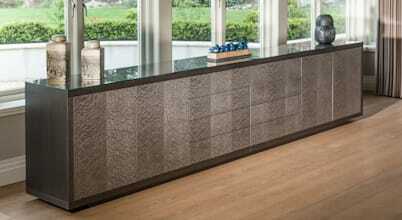 Martin works mainly to commission for private and corporate clients. 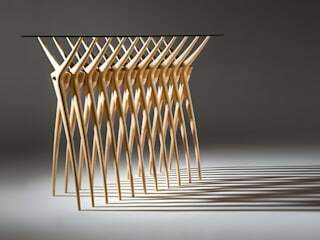 His bespoke range includes furniture such as dining tables, console tables, sideboards, bookcases/display units and boardroom tables made in solid wood or veneer. 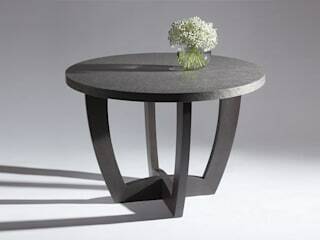 Martin is also expanding his collection, a range of limited edition furniture for the more discerning client looking to make an individual statement. Recent exhibitions of note include MASTERPIECE London, AD 20/21 Boston, SUPERDESIGN London, A Celebration of Craftsmanship and Design Cheltenham and numerous high profile exhibitions in Ireland. Martin’s work has being purchased by clients all around the world, including Australia, Canada, China, France, Spain, UK and USA.